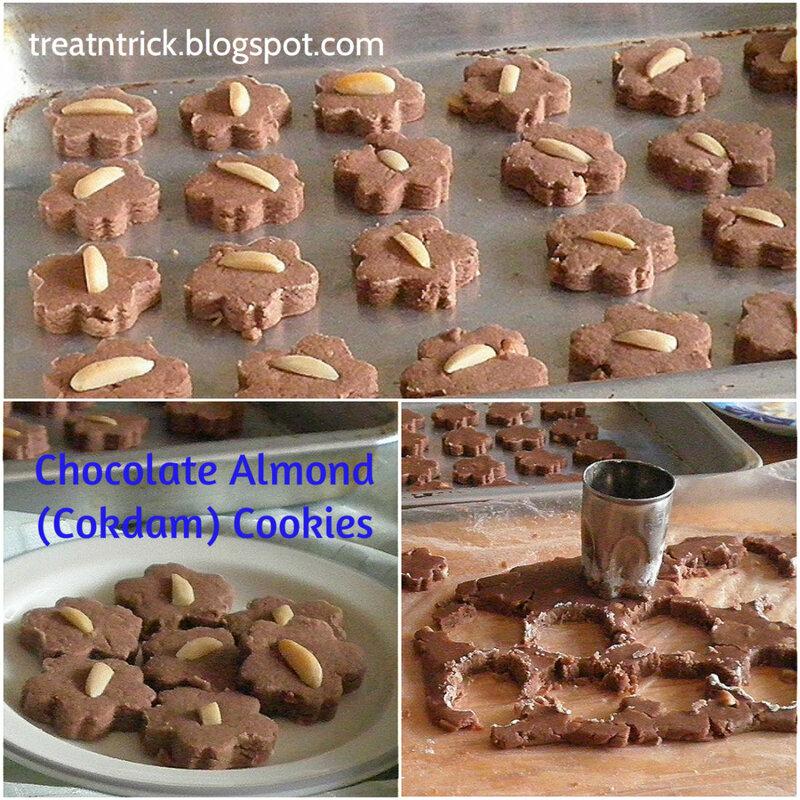 Chocolate Almond (Cokdam) Cookies are deliciously simple to make yet elegant and tasty dessert or snack You might wonder what :cokdam" stand for. It's a short form for chocolate and badam (almond). Some cookie dough needs minimal chill time in the fridge but these cookies are not required. 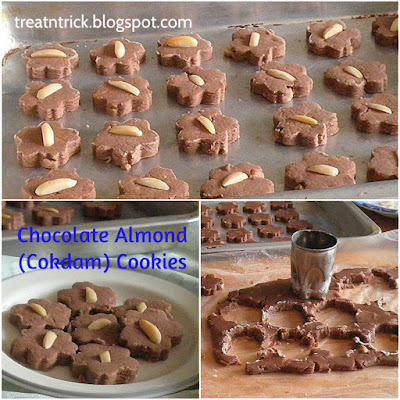 Highly recommended not making these Chocolate Almond (Cokdam) Cookies too thick and if possible make them almost the same size to ensure even cooking time. I used small cookie cutter and pleased with the result. I got about 100 cookies for the following recipe. 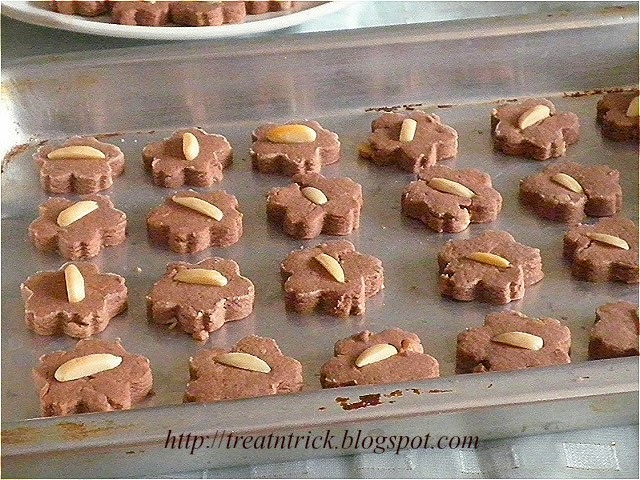 Each time you use the cookie cutter, dip it first in flour so you will get beautifully shaped cookies without sticking. Make sure the almond is finely chopped in order to get beautiful shape otherwise the dough tends to break when cutting them. When I have extra slices of my Eggless Chocolate Cake DF , I intend to turn this into a delicious chilled dessert. Eating a smart breakfast leads to healthier choice all day long. This Cake, Fruit & Yogurt Parfait is one of them. 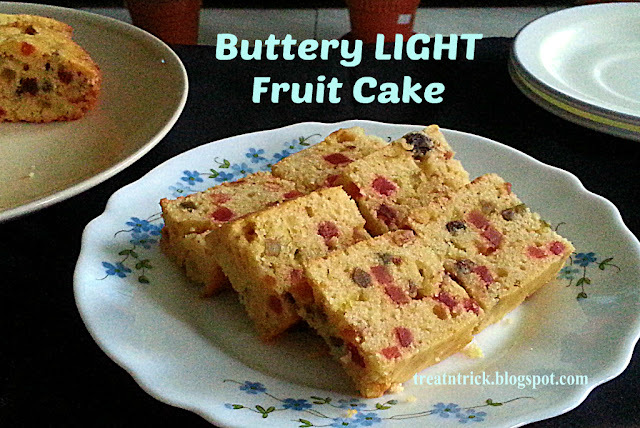 It is quick and easy to make, has only a few ingredients and also no bake. But when you put a spoonful of Cake, Fruit And Yogurt Parfait in your mouth, it creates a wonderful textures to tantalize your taste buds. I used banana and mandarin orange but you may use any fruit you have, In fact the amount and the way of layering it is totally up to your preference. 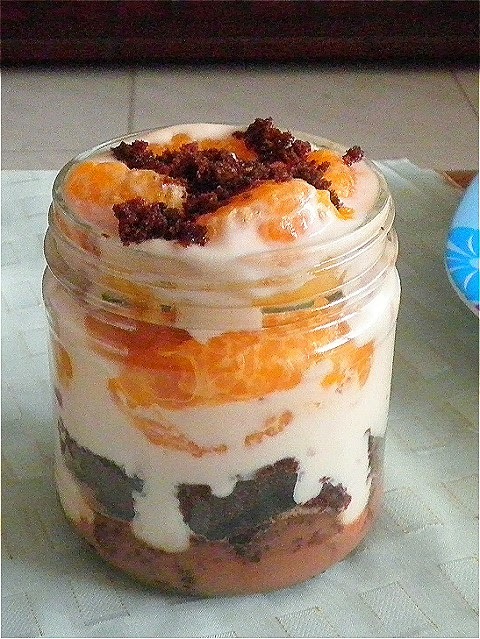 Instead of tall glasses, I made use of 12 oz mason jar to fill my Cake, Fruit & Yogurt Parfait. The overripe banana combined with cocoa powder gives you an incredibly moist and subtly sweet loaf. 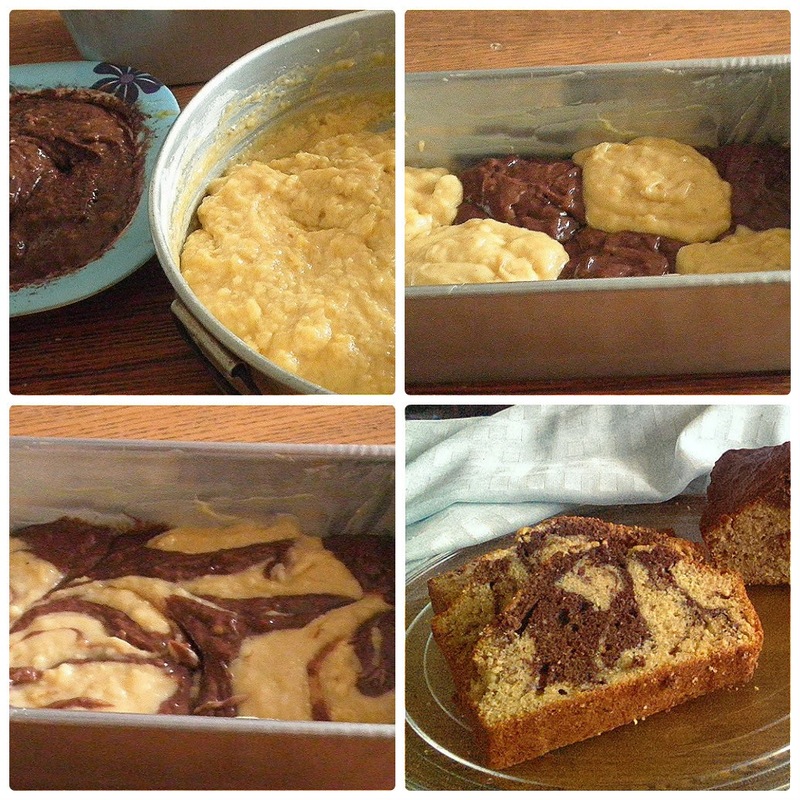 Get rid your blackened banana by making this Marble Banana Bread, it uses one and half cups of mashed banana. 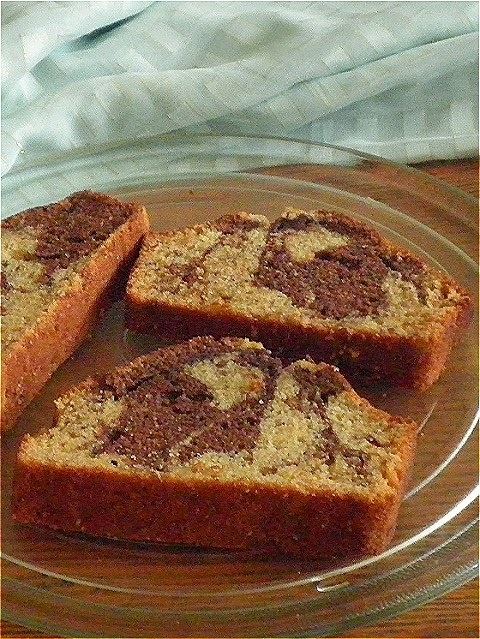 Marble Banana Bread is a delicious twist on regular banana bread with a chocolate swirl. Not only it was delicious but pretty. In fact I'm so obsessed with the word "marble", you can find my recipe for marble cake and bread below. 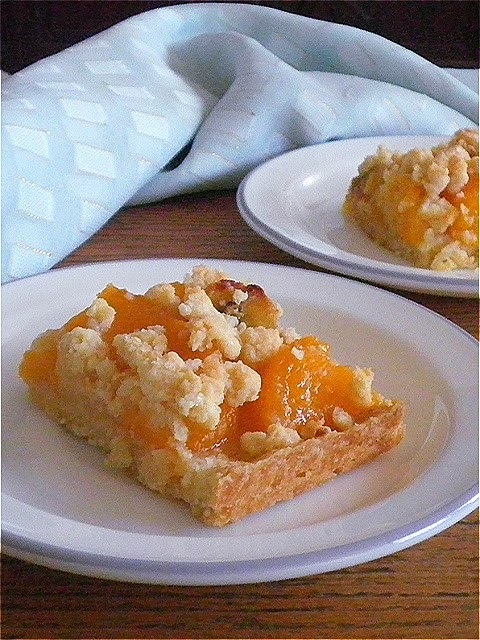 The texture is absolutely wonderful and each slice is beautifully and properly swirled. I thought there was no way. my bread would look wonderful as the pictures but every piece really turn out great! I had half a botlle of kaya (coconut jam) left after making my Heart Shaped Kaya Rolls . At first, I thought of preparing a pancake stuffed with kaya but changed my mind and chose Kaya Pancake Muffin instead. 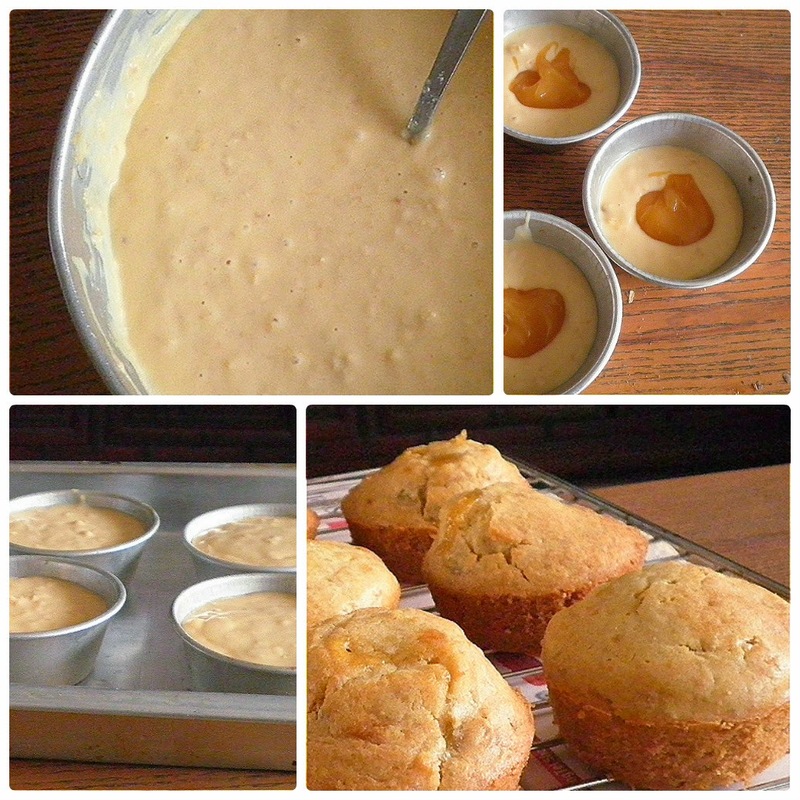 Kaya Pancake Muffin is much quicker and importantly less messy and save your time. Just imagine, frying the pancake, stuffing then roll them up one by one. These are versatile, on the go and delicious meals. 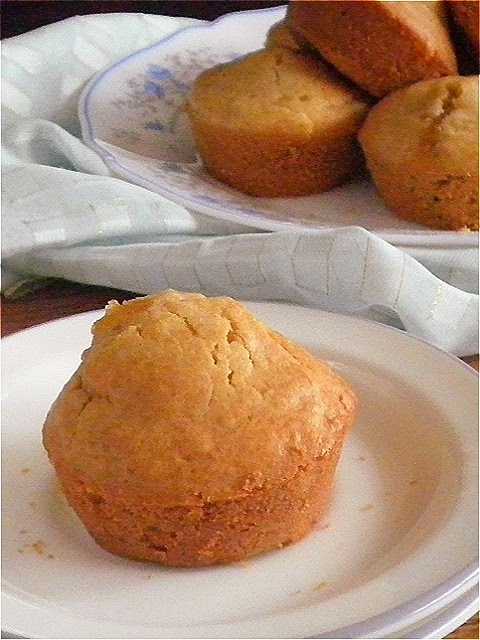 There are ways to fill up these muffin with sweet or savory stuffing. Pancake don't have to be sweet. You can also make incredible meals with savory pancake too. Just omit the sugar if you opt for savory stuffing like cooked shredded chicken, turkey, bacon or even mushroom, spinach or garbanzo beans.. Vary your fillings with blueberry, apple, fruit pie filling, nutella, chocolate, peanut butter instead of kaya. Make it lactose free by using soy or coconut milk in place of milk. Go eggless by adding 1/4 cup yogurt or 1/3 cup of apple sauce instead of an egg.